Ag & Turf Power Service is a family operated business that has been serving urban, rural, farming and commercial customers in the Niagara Peninsula since 1987. Licensed farm equipment and small engines mechanics, with over forty years of experience in the industry. 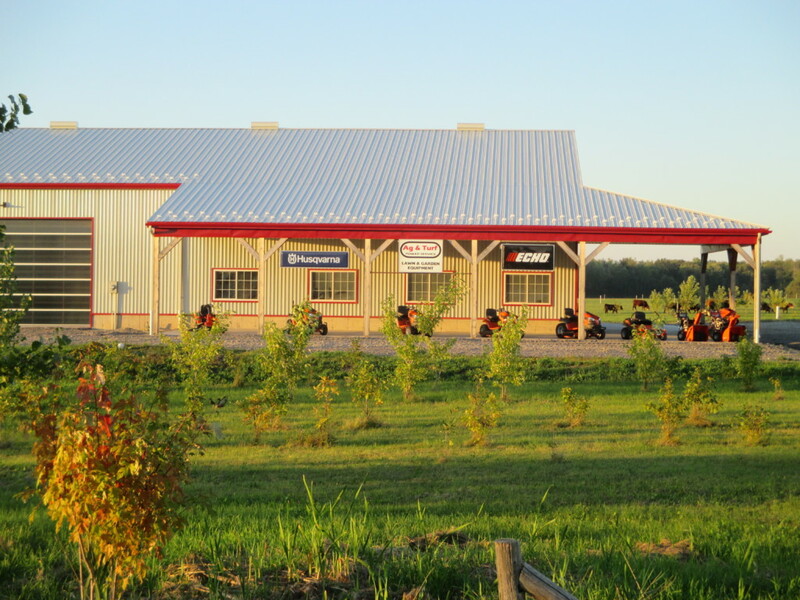 We offer a fully equipped service shop for chain saw, lawn & garden and compact ag equipment. We stock a comprehensive line of personal protection equipment and accessories. Whether you are in the market for new equipment or looking for reliable service for your current equipment, we can help you. Drop by or give us a call! … is to personalized service, and to providing quality in both product and service. We help our customers choose the product best suited to their needs and provide the follow-up service to keep equipment safe and in optimal working condition.